MOUNTAIN VIEW, CA, MARCH 14th, 2018 -- Atheer Inc, a leading provider of enterprise class Augmented Reality solutions, today announced that the latest update of its Atheer AiR™ Enterprise software - which now supports customers who want to work with the web version of AiR Enterprise on the Apple iPad, do instant "Over The Air" updates of AiR Enterprise on the smart glasses of their choice and survey their users about the content or quality of their "See What I See" video calls within AiR Enterprise. Optimization for use of AiR Enterprise on the Apple iPad's Safari web browser means that remote experts will be able to conduct remote "See What I See" calls with field service colleagues , create and edit taskflows and manage users without the need to use a traditional desktop or laptop computer. It also makes AiR Enterprise one of the most hardware-agnostic Augmented Reality solutions available for the industrial enterprise, with announced support for solutions using Windows 10 (on the just-announced Toshiba dynaEdge™ AR Smart Glasses), Microsoft HoloLens (through our unique partnership with Design Interactive and its AUGMENTOR application), a range of Android-based smart glasses and head-mounted devices (including the RealWear HMT-1), Samsung's popular S2 tablets and all future devices based on the Flex AR reference design (announced in January at the Consumer Electronics Show). "We believe that its vital to support our customers on the platforms they want to use to get their work done - rather than funneling them into 'one size fits all' hardware or software solutions," said Soulaiman Itani, Chief Executive Officer and Founder of Atheer. 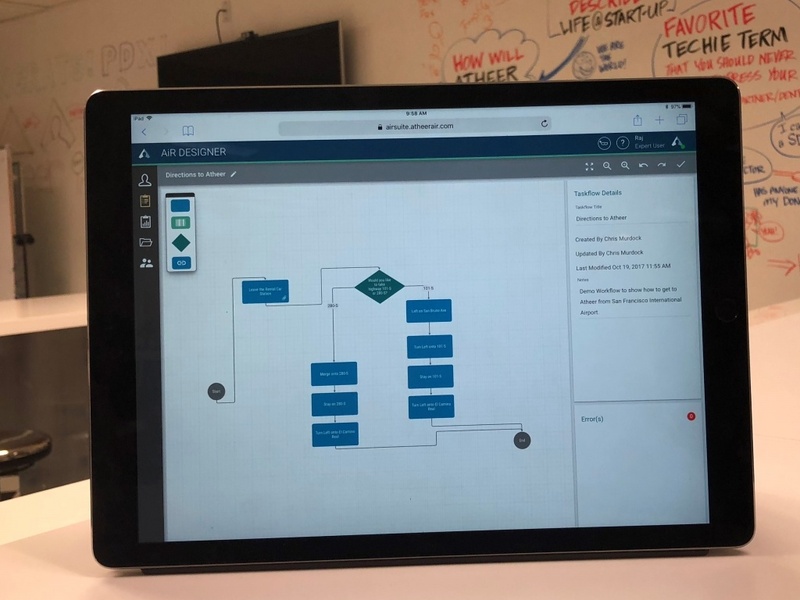 "All of the updates in this most recent version of AiR Enterprise are aimed at empowering customers to be successful, providing them with choice and streamlining the way in which they updates their preferred AR solution"
The announcement that AiR Enterprise will allow one-touch over the air software updates follows previously-announced enhancements to include automatic syncing of files and taskflows. 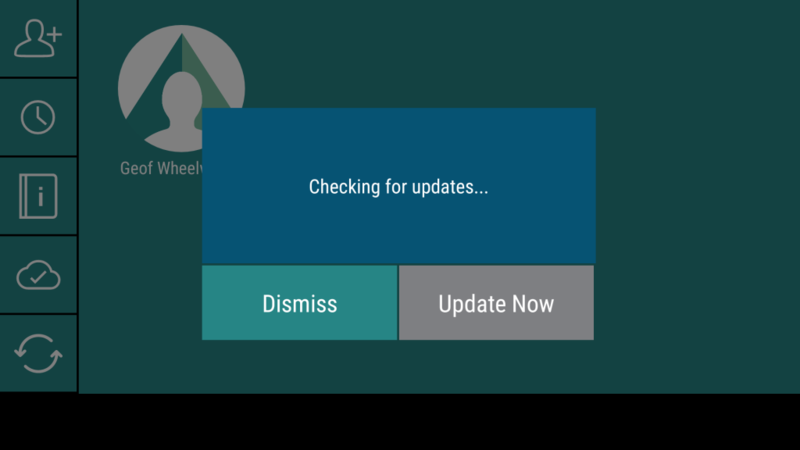 AiR Enterprises users will now get a notification when a new application version is ready - and the app will update itself, avoiding the cumbersome process of having to download an updated application on the user's PC and then install from there. Meanwhile, the ability to configure the automatic launching of user surveys following the completion of a "See What I See" video call allows customers to capture vital business information about the quality of video calls (perhaps indicating the need to upgrade the bandwidth of their wireless network) as well as the quality or content of the interaction on the video call itself. This feature puts customers in charge of where and how that survey takes place, as well as whether or not the survey automatically launches. These new capabilities are in addition to the rich set of existing features already enjoyed by AiR™ Enterprise customers today. These include full encryption, taskflow history and synchronization, taskflow reporting and auditing as well as “see what I see” videoconferencing for instant access to remote experts, in-view contextual documentation and step by step task guidance. Additional recent features include support for Google Single Sign-On - and other identity solutions based on the SAML (Security Assertion Markup Language) standard - as well as Amazon ECS-Optimized AMI (providing better support for enterprises using the Amazon Elastic Container Service). To request a demonstration of the latest version of Atheer AiR™ Enterprise, click here.